Home / Thoughts / Most Likely to Succeed? Not currently. Tonight, Innovation Unit and Nesta Impact Investments will host a private screening of the film Most Likely to Succeed: a powerful documentary about the nature and purpose of school, and how it should be reinvented. Our audience, made up of individuals from business, education, philanthropy and social finance, are coming together to explore the question: What should the future of schooling in England look like and how can we make it happen? Ultimately, we believe that the fundamental purpose of education is to enable every young person to thrive in the world. To meet this aspiration, we argue that the out-dated model of what a school does and is needs to be reinvented. Sundance nominated Most Likely to Succeed focuses on how High Tech High, an innovative school network in San Diego, has risen to this challenge and redesigned how school works. 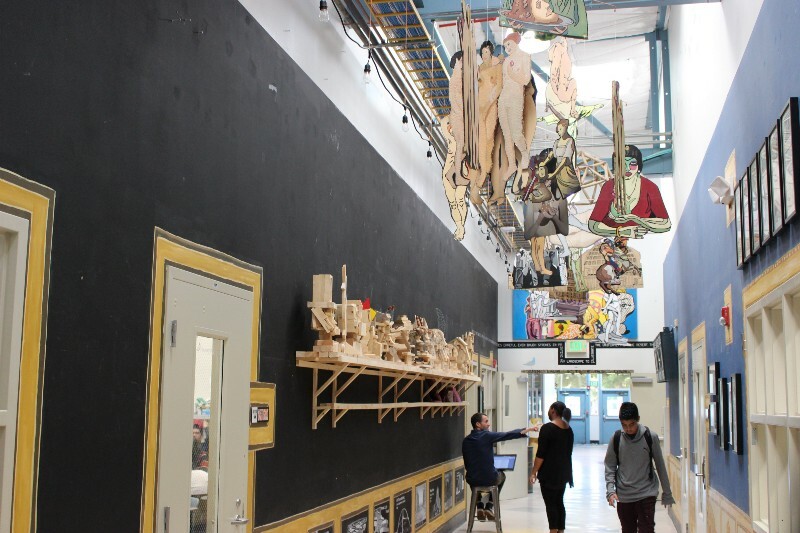 We have been inspired by the work at High Tech High, and want to drive a conversation and subsequent action that is focused on the ways in which school can be different and better. Looking beyond the case study of High Tech High, around the world we are seeing a move away from ‘doing more of the same’ in education towards creating new visions for what schools and learning could, and should, look like in the future. Funders, investors and practitioners alike are showing a keen interest in working out what new models might be, how they might work, who might fund them, and how they will ensure they are more effective than the status quo. US initiatives that we’ve seen to date are working inside the current system and outside of it; from the sponsoring of Charter Schools and the use of online learning in existing schools, through to external, Foundation-led initiatives such as the ‘Deeper Learning’ programme by Hewlett Foundation and ‘Integral Education’ from the Ayrton Senna Foundation across Brazil. Even more notably, we’ve seen major corporates entering the space too — Facebook has co-developed technology to support the innovative Summit Schools network, and The Chan Zuckerberg Initiative also has big intentions to invest in this area. Lauren Jobs, widow of Steve, has launched XQ: a design challenge to reinvent high schooling, with the prize being the development of the winning new school design. Both Innovation Unit and Nesta are interested to think about whether similar initiatives could be stimulated in the UK: to imagine what would happen if we too had resources allocated to systematic innovation in schools. What if we committed to opening more schools with new school models? What if there was a powerful coalition of business, educators and civil society establishing the blueprint for next generation education for England? We know there is great potential power and influence in a collective ambition to create profound change, and want to build a coalition to do just that. We hope that, in watching the film and discussing its implications, our audience will be keen to consider what their role in this change might be.